Motive. That word has been on my mind all month. Every time I tried to write a post on Discipline, that word haunted my typing, my fingers wanting desperately to type an M rather than a D. I just couldn’t get to Discipline. Attempt after attempt. Draft after draft. Finally, I stepped away. I gave it up. For a couple of days I just sat with it, with this word Motive. In that story, it described how the apprentice lost his client because he let him enjoy the peace and quiet of a good book, or a long walk in the woods. The Enemy captured him away during those quiet times. The senior demon instructed his protégé that he should never let a human just revel in the joy of anything. You must always make her feel that it would be better if she were doing something else, or that she was doing it not for joy, but because it would make her look good to others. The senior demon knew, from centuries of experience, that you must always be monitoring the motives AND the actions. Both are important to the results. And thus, my struggle with Discipline and Motive. 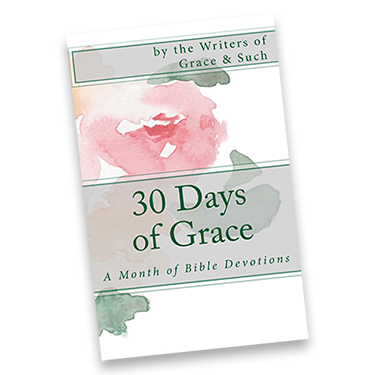 [pullquote width=”300″ float=”right”]He wanted me to stop acting like the disciplines were worthy of worship, that I didn’t need to be noticed by practicing them, and that I didn’t need to do them to earn a way into heaven, to be accepted in his body of believers. God was waiting, nudging, pursuing me. [/pullquote]I have practiced spiritual disciplines of some kind, at varied frequency, off and on, inconsistently, throughout my life. Sometimes I got some pretty good results. I felt closer to God, more at peace, more loving. But it never lasted even as long as the time I had committed to it. In the early decades of my faith walk, when I was first learning about how to get close to God, I ‘practiced’ them because someone told me to, someone gave me the advice that if I loved God I would do them. Others told me that if I was a believer I had to. That thought – the ‘have to’ – stayed with me for years. I diligently followed their advice. My sole motive: not to rot in hell. As I matured into leading others, I did them so I could tell others that I did. After all, if you want to be idolized, respected, noticed you gotta give ’em a reason, right? So I taught and wrote about my prowess with disciplines I had little commitment to beyond what others would think of me if I didn’t. My sole motive: others would think me holy (is that a description of a Pharisee?). I changed about fifteen years ago. I had just left a church that had frustrated me more than I can say. I was sad and discouraged and mad. I felt disjointed without a church. I felt like I was alone. Through that struggle came a big, ole ‘ah-ha’ moment. For the first time, I fully grasped that I was not alone in this faith-thing. There was one person, one God, one Spirit, who had been there all along, just waiting. Yeah, I know. Duh! God wanted me to sit with him, quietly, getting to the truth that it didn’t matter what I did, where I went to church. It mattered that I wanted to be with him. He wanted me to stop acting like the disciplines were worthy of worship, that I didn’t need to be noticed by practicing them, and that I didn’t need to do them to earn a way into heaven, to be accepted in his body of believers. God was waiting, nudging, pursuing me. He needed my motives to be pure. To just want him. If there were other motives, he didn’t care. In Philippians, Paul’s followers got all kinds of worked up because other preachers were getting noticed more than him, and were dissing on him. He let them know that was ok. That as long as Jesus was being preached, it didn’t matter that those preachers may have additional motives beyond the pure one. Jesus was all that mattered. I know a bunch of people who ‘do’ the disciplines with all the right motives. I just never did. I always needed to do it for something that fell so short of the purity of God. I am not sure I “do” any disciplines even today. I refuse to put a on name on what I do when I am seeking God. I am just with him. I guess if you need to put labels on it, I do meditate. I do read the Bible. I do pray a bunch. Some or all of the above, some or all of the time. I also go for a walk and just breath in his world. I listen to jazz that makes my heart soar. All these times, when the junior demon thinks I am just being quiet, I am slipping more and more into God’s presence where my soul will be soothed, and nourished, and loved. I even teach others to do the tried and true spiritual disciplines. Some, or all, some of the time. But more than anything, I teach them to want to be with God. No matter what it looks like, no matter what checklists they check off, no matter what. God will show up. He has been there all along. Exactly! It is not about the doing, but about the being. Everything that is good, can become bad depending on the motive for doing them. My experience with the disciplines is that if I have to do them, because my motive is for anything other than strengthening my relationship with God, then I am a Pharisee. I know it. God knows it. Why bother. But sometimes the beginning of a discipline might just be doing it until it becomes a routine, just as you described. Oh my, thx for your encouragement, Beck! Some of this ah-ha moment came out of deep conversations with friends like you, and reading new perspectives like on GnS! It’s interesting how often we fall into just the doing without the embracing. Thanks for the reminder. Great post. I think we need to cultivate a discipline of reminders! We are a forgetful bunch, aren’t we? I love this post so much. Everything about it. Thanks for sharing. And I love The Screwtape Letters, too. I’ve been questioning my motives a lot lately, so this very timely. Thanks for helping me sort through these things! THIS. “He wanted me to stop acting like the disciplines were worthy of worship, that I didn’t need to be noticed by practicing them, and that I didn’t need to do them to earn a way into heaven, to be accepted in his body of believers. God was waiting, nudging, pursuing me.” So many times we fill the God-sized hole with everything but God – even discipline. Thank you. This is really it, isn’t it? 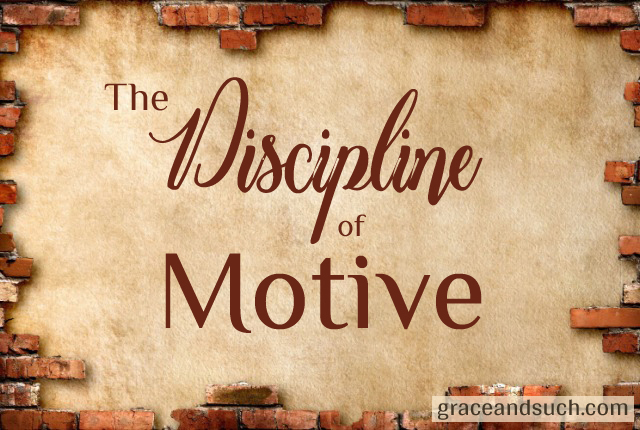 When we change our motives, the discipline follows. Beautifully written and explained. Easier said than done, but when done, it works. Thanks, Amber.